Sugar. We love it, and we’ve always loved it. But have you ever stopped to think about what it might be doing to your skin? Celgenics Skincare developer Marian Bourne explains. We’re eating more and more of it, in sweets, in biscuits, in Coca Cola and fizzy drinks. It’s now a given in our diets, and so much a part of most people’s lifestyles that we never think about any negative effects it might be having. Every time you eat sugar you deplete your body of zinc and chromium because they are both needed to make insulin. And every time you eat sugar, your body has to produce insulin. Insulin is the only hormone we have that reduces blood/glucose levels.The sugar ‘rush’ that ensues can make you feel nervous, and stimulate the brain to crave more sugar. Eating more of the same then starts the cycle all over again. Over time this constant production of insulin produces what’s known as insulin resistance where the cells become resistant to insulin and the constant production of cortisone and adrenalin from the adrenals can ultimately lead to adrenal exhaustion. How many people do you know who eat lots of chocolate and biscuits who say they need it to give them energy but who wake up tired and are permanently exhausted? Coming soon! We’re offering a free Celgenics Couture Cellulite Cream to our customers who buy any Celgenics product. Sign up to our newsletter to be kept posted on new and exciting offers from Celgenics. 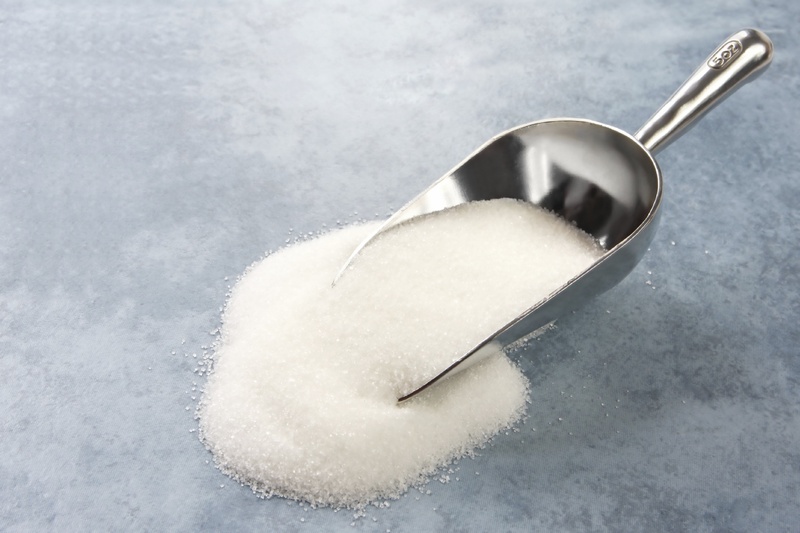 10 Good Reasons to Avoid Sugar and Save Your Skin! 1. Essential B vitamins and minerals [calcium, phosphorus, chromium, magnesium cobalt, zinc and manganese] are depleted to metabolise sugar so there are less available nutrients to feed your skin. For example, a zinc deficiency can cause hair loss and some eye disorders (macular degeneration). 2. Sugar is not digested in your mouth or stomach, it goes straight to the large intestine and then your bloodstream. Fructose though, that you eat in the form of corn syrup which goes into lots of confectionary, is metabolised by your liver and turned into free fatty acids, VLDL [the bad sort of cholesterol] and triglycerides, which get stored as fat. The metabolism of fructose creates many waste products and toxicity in the body, which can create excess uric acid, increased blood pressure and even gout. 3. Sugar that goes straight to your large intestine feeds candida, gut parasites and pathogenic bacteria leading to gut permeability otherwise known as Leaky Gut Syndrome. Gut permeability leads to less absorption of nutrients and allows the entry of more bacteria, fungi, parasites, toxic metals and toxic materials. 4. Research has shown that for many people who have a diet rich in quick release carbohydrates –glucose and fructose – over time they are highly likely to develop insulin resistance. As the body pumps out more and more insulin in response to all the sugary rich foods, the cells become more and more resistant to the insulin and the excess glucose is stored in the body as fat. The more sugar you eat, the more sugar you want to eat as it’s highly addictive, the result is a very acidic body which can be manifested as spots, acne and tired looking skin. 5. Sugar and vitamin C compete for a place in white blood cells. This means that the white blood cells of the immune system can be severely compromised Eating even 100gm glucose, fructose, sucrose, honey or fruit juice, all significantly reduce the ability of neutrophils to engulf and destroy bacteria. Since neutrophils constitute 60-70% of your total circulating white blood cells, this can have a big impact on your immune system. 6. Sugar can cause production of free radicals [superoxide, hydroxyl radical]. Free radicals can cause inflammation, pain, and have been found to speed up the ageing process. 7. Sugar/glucose attaches itself to proteins that form ‘Advanced Glycated Endproducts’ [AGE’s]. The formation of AGE’s is irreversible and they decrease the elasticity of connective tissue. Ie Your Skin! 8. Sugar has a very similar molecular structure to Vitamin C and displaces it from its’ proper binding sites which means that Vitamin C is not available for Collagen production. 9. Sugar makes your system too acidic; during the refining process, substances such as sulfur dioxide, milk of lime, carbon dioxide, charcoal, and calcium carbonate are used to purify the sugar but which are acidic and toxic for your body. This has a knock on effect to your skin. 10. Sugar interferes with how enzymes function and how hormones are made; if you don’t make enough oestrogen, for example, low oestrogen speeds up the ageing process.